Coloured hair help from John Frieda, Kevin Murphy, Rene Furterer and Vidal Sassoon! 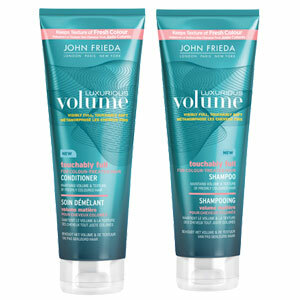 John Frieda Luxurious Volume Touchably Full Shampoo & Conditioner For Colour-Treated Hair - 250ml - $12.99 - formulated with specialized volume booster and lightweight colour protection technology, the duo works to protect hair from fading while maintaining volume for touchably full and luxuriously soft hair. Kevin Murphy Angel Masque - 200ml - $43 - a strengthening and thickening conditioning treatment for fine, coloured hair. Contains strengthening tripeptides from citrus and bamboo to promote hair growth and cellular regeneration; silk proteins and aloe extracts which work to improve hair elasticity, resilience and restore moisture balance; vitamin rich jojoba esters to provide extra strength and thickness to the hair; and quinoa proteins to bring moisture and repair deep into the hair while making it shiny. Available now at salons across Canada - check out www.kevinmurphy.com.au to find a location near you. a highly nourishing conditioner that enhances the radiance of highlighted, bleached hair as it deeply restructures and detangles damaged, fragile hair. Softness and shine are restored, and highlights are enhanced. 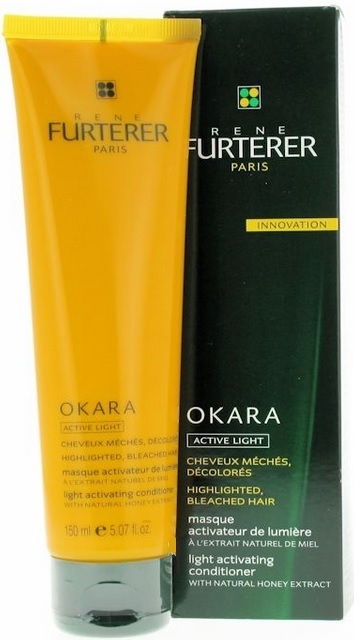 Contains natural honey extract to nourish hair and for its antioxidant action to prevent fading and yellowing; okara extract - a protein from the soybean similar to keratin to repair and rebuild the hair; and vitamin B5 for moisture - combines to leave hair soft, supple and infused with sunlight. Best part is the scent - grapefruit, peach, raspberry and rose! Vidal Sassoon Pro Series VS Color Spray Color Protect - 150ml - $5.99 - a professionally inspired formula which contains a lightweight conditioning complex to help protect hair from styling damage which can cause dull colour and keep hair from looking fashionably vibrant.